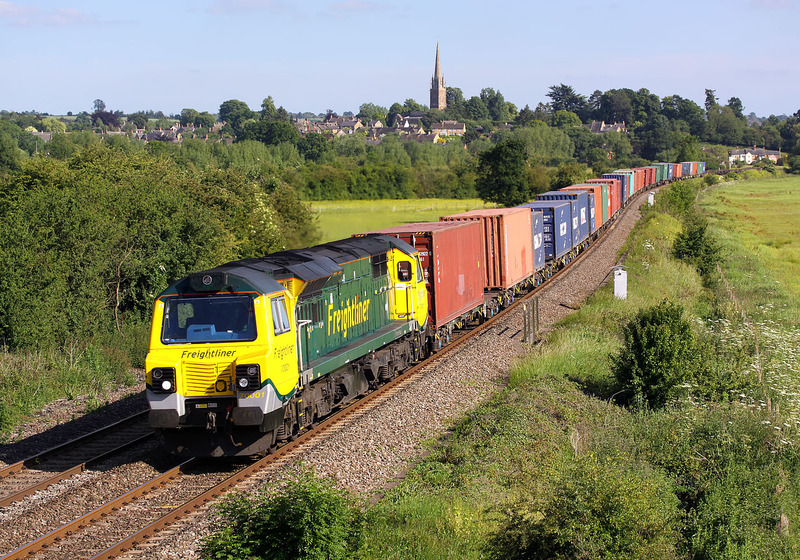 70001 Powerhaul speeds past Kings Sutton on 3 June 2011 with the 4M68 14:50 Southampton to Birch Coppice freightliner. Although they are not going to win any design awards (unless there was one for the worst looking loco! ), the 70s do make quite an impressive noise when working a well loaded train, such as this.